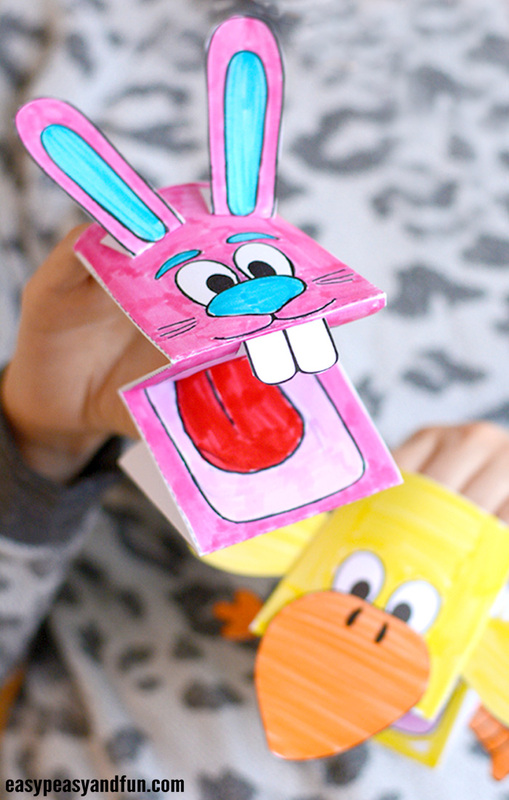 We have a new fun set of puppets to share with you – get the printable bunny and chick puppets, a perfect Easter duo to play with. 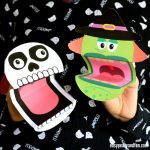 Are you ready for some Easter chatty fun? 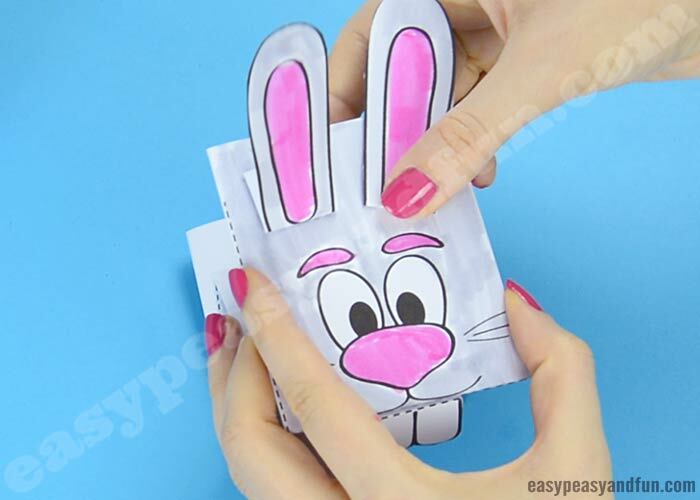 We have 2 printable puppets ready for you, a cute little bunny rabbit and a chick. 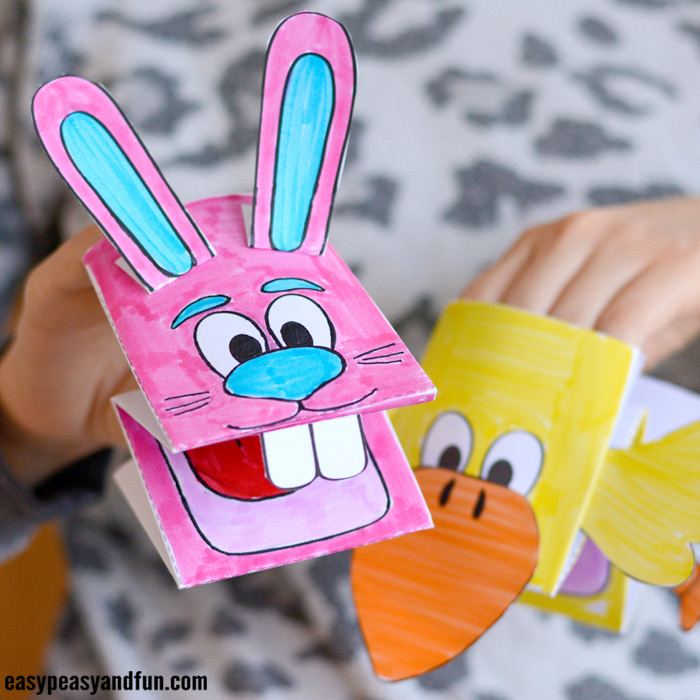 Print out one or both of our Easter puppets, color, fold and play! Oh the fun conversations this little bunny and chick will have. Can’t you just hear them? Print out the template. 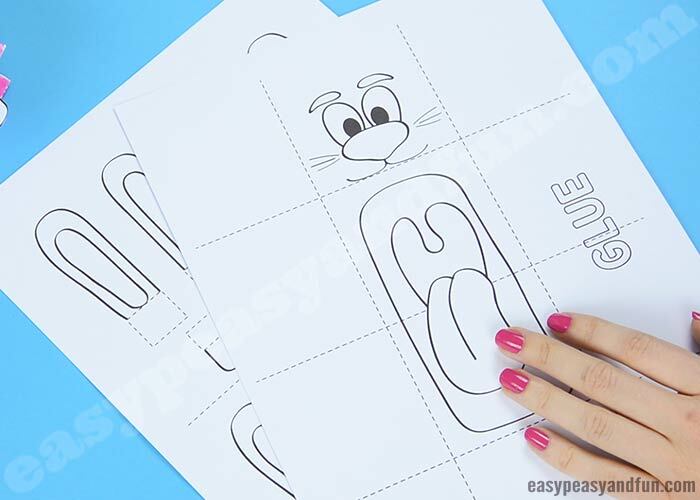 We do recommend printing on heavier print paper as this will make your puppet more durable but regular print paper, especially if kids will color with crayons, works out just fine. Color in the middle part of the template. 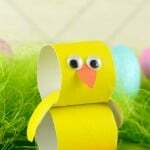 Also color the “accessories”- the ears, wings or whichever you need. 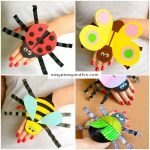 Cut out the accessorises. 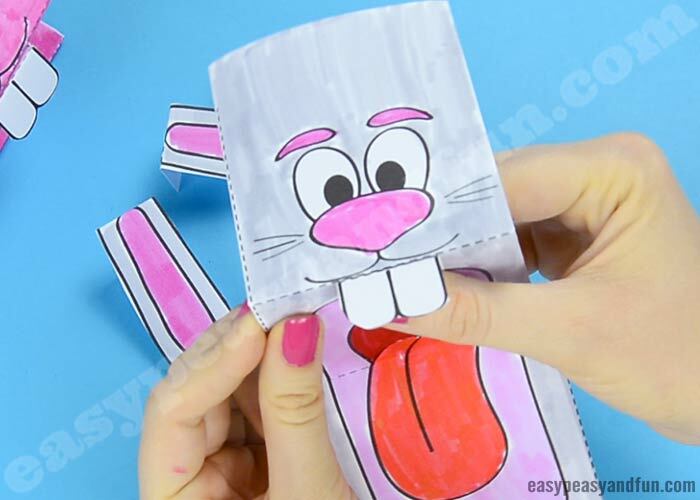 Fold the sheet with the puppet along all the dashed lines. 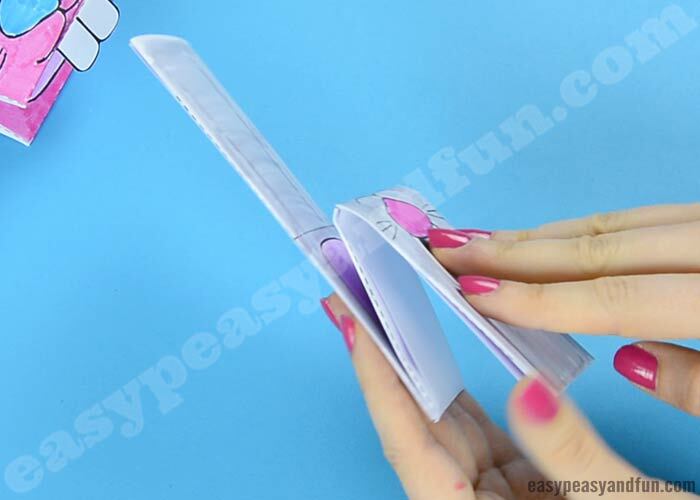 Make the folds crisp (either run your fingers through all the folds or use a craft stick and run it across the folds). 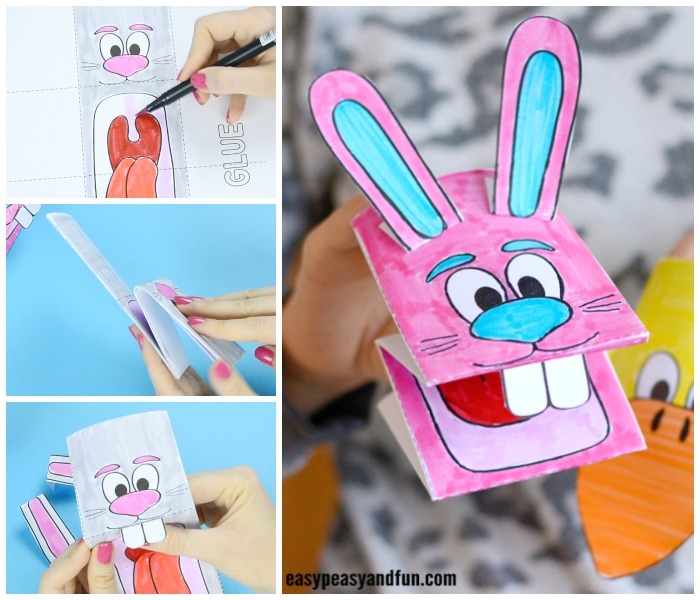 Fold along both horizontal and vertical dashed lines. 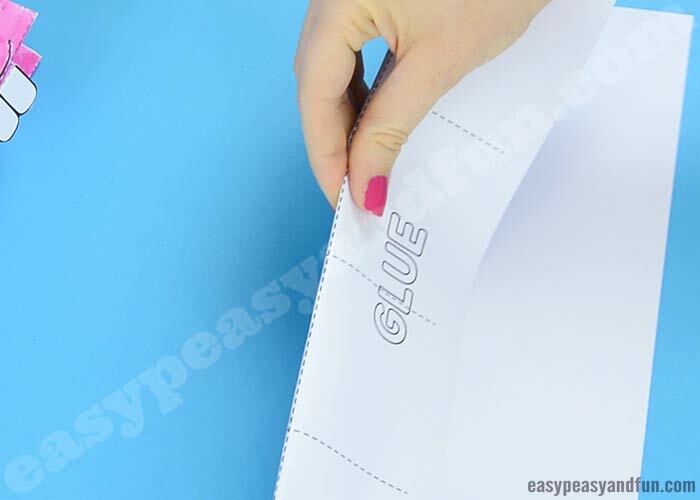 With the design facing the table, fold over the side with the big word glue – and apply glue across the whole length. 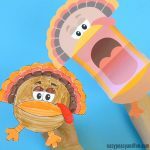 With the design still facing the table, fold over the other side, over the one you just applied glue to and stick them together. 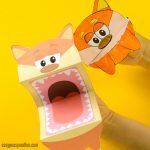 Fold along the dashed lines – make your puppet assume the M shape. Take the accessories – fold them along the dashed lines where applicable. 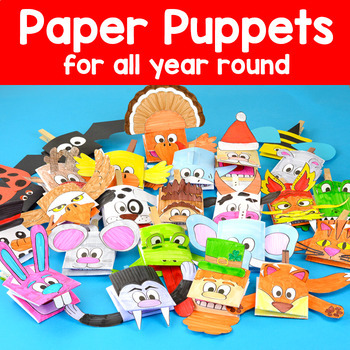 And glue them to the puppets. All done and ready to be played with! 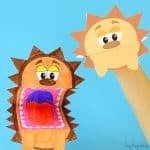 Insert your fingers into the puppet and chat away!